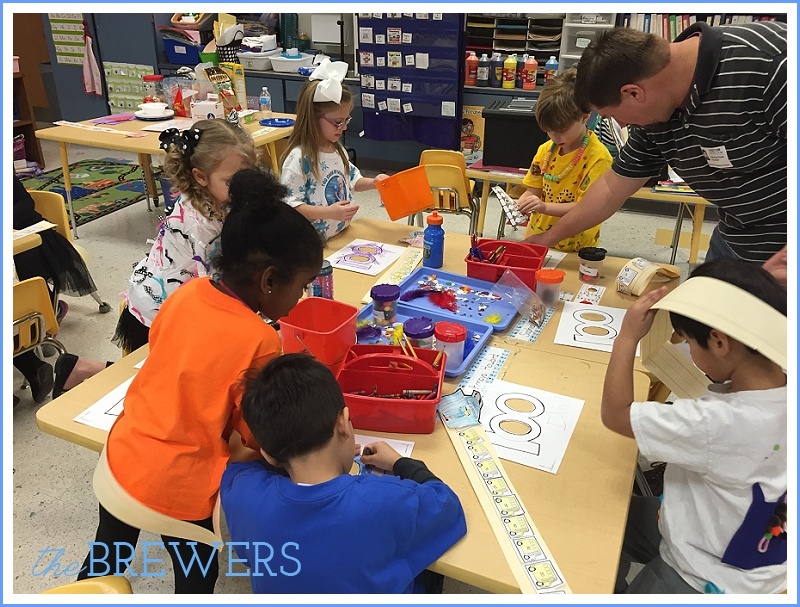 For the 100th Day of School, the Kindergartners were tasked with creating a shirt that incorporated the number 100. Autumn and I talked about it just a little bit, but she came up with the idea of having an Elsa shirt and putting 100 snowflakes on it. I was pretty proud of her creativity, and I was happy to help her execute the project. 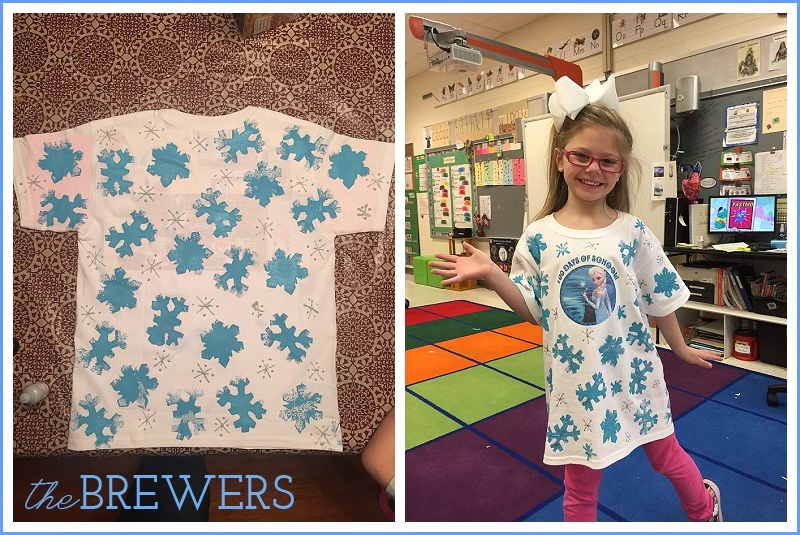 After printing Elsa out on to some heat transfer paper, cutting snowflakes out of foam from the craft store, Autumn did all of the hard work! I was able to volunteer for the celebration. 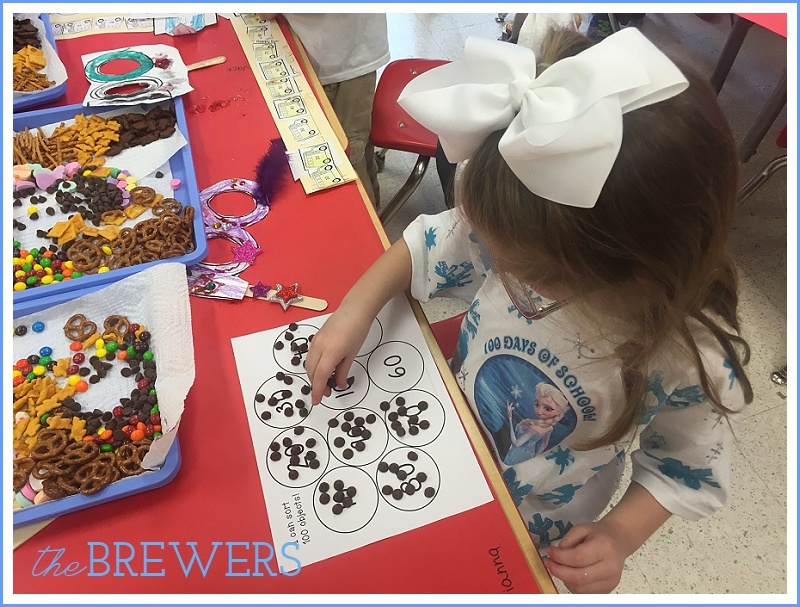 I helped make decorations for the room, objects for the kids to add 100 items onto, and help the kids move around to each classroom where 100 Day activities were. 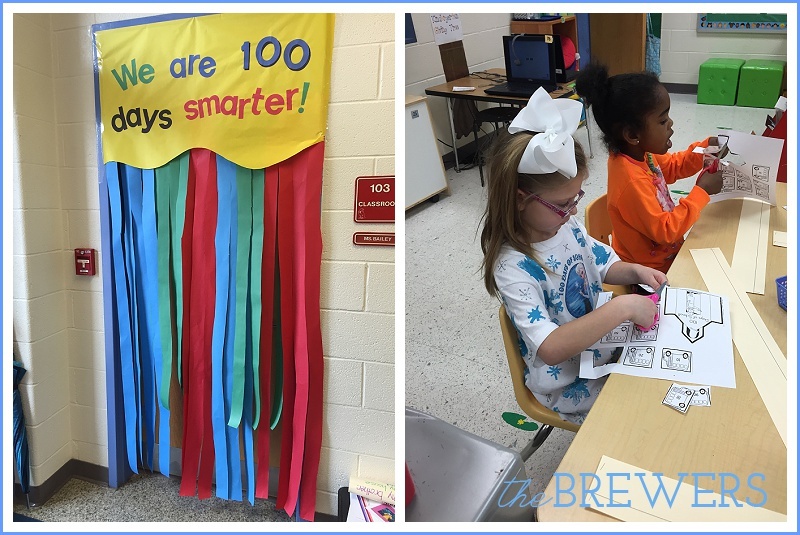 It was a fun day, and hard to believe 100 days have gone by!